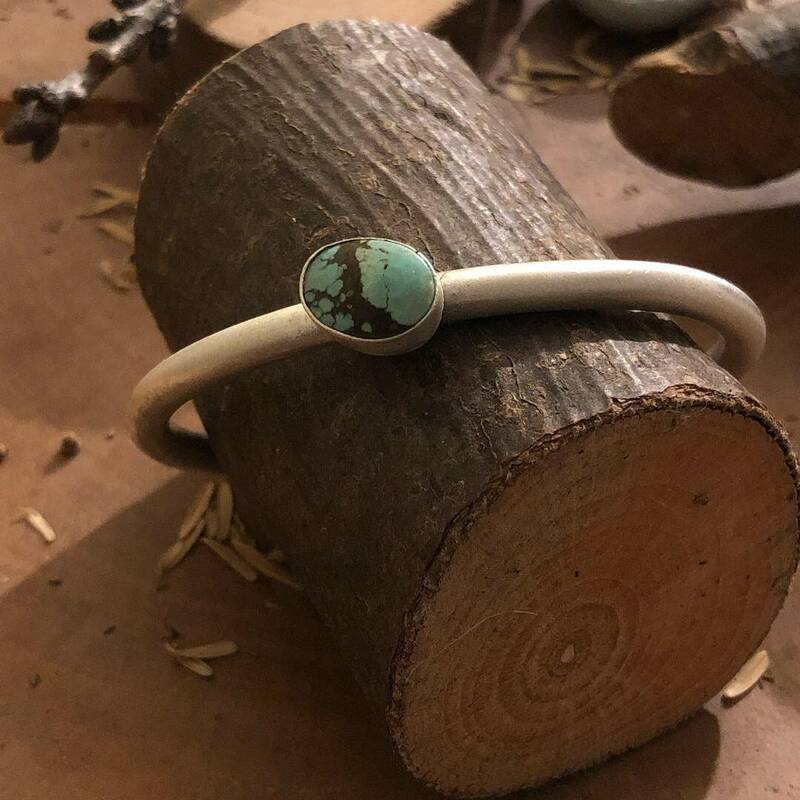 A sweet sterling cuff with a drop of turquoise. 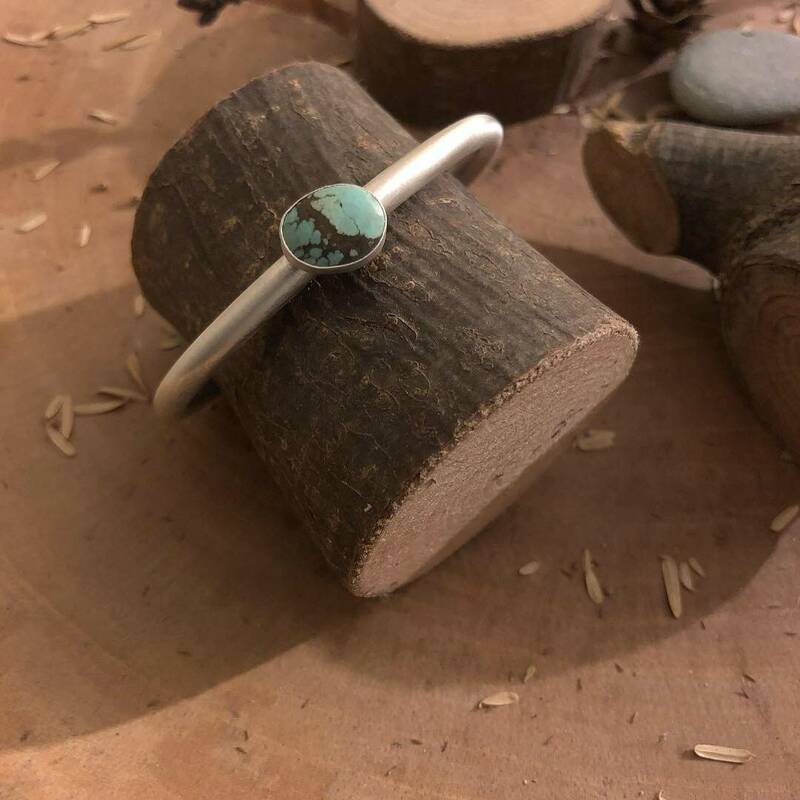 The cuff is hand forged, sterling silver, 6 gage round wire. The turquoise cabochon is approximately 1' x 5/16' at the longest and widest areas. 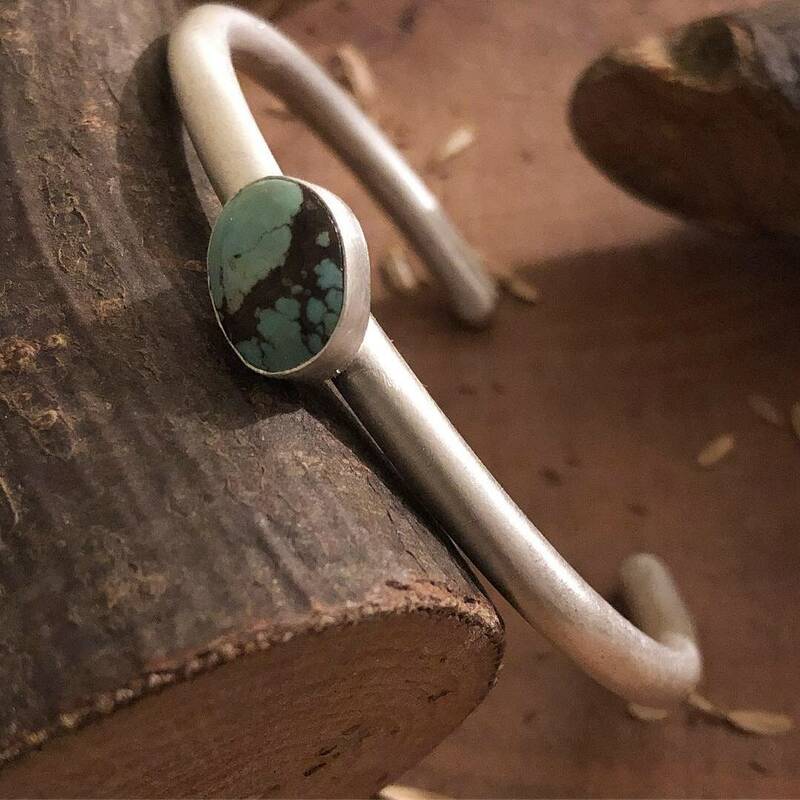 The turquoise stone has an organic matrix pattern and rest in a handmade bezel. 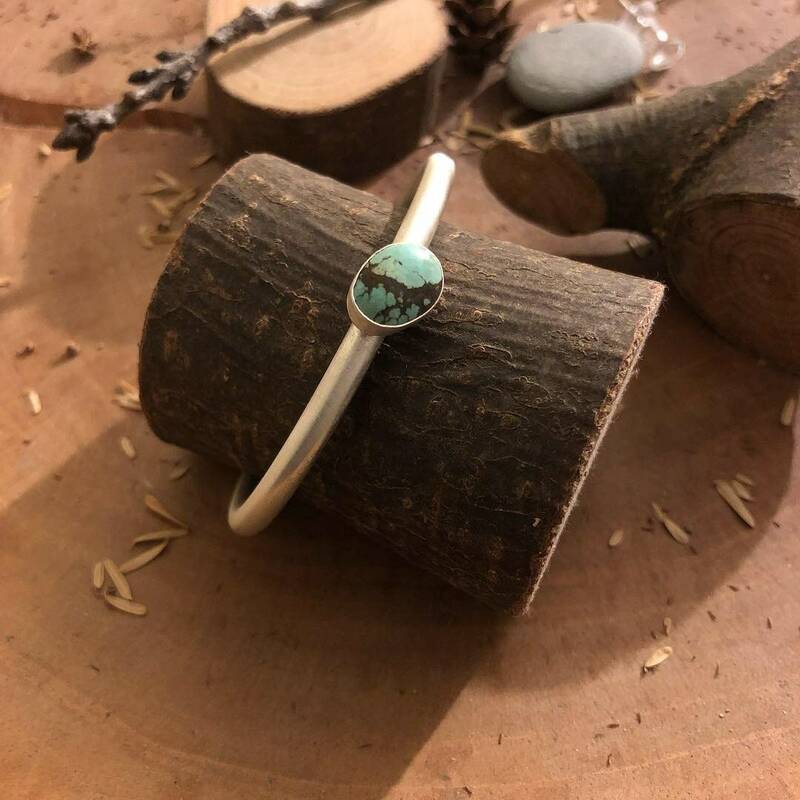 This is a piece which can be worn everyday, or to compliment a special occasion.